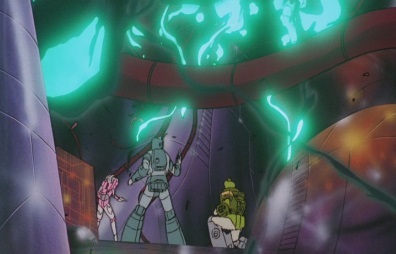 The Transformers: The Movie was released in 1986. 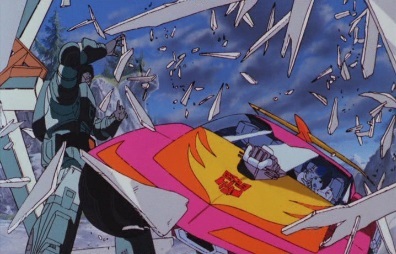 I didn't get to see it until the mid-90's, at a point where the TF craze had died down. And when I saw it for the first time, I thought it was awesome. Having not grown up with the series I didn't care that characters died, and I hadn't seen films like Star Wars yet so this thing was the best movie ever as far as I was concerned. 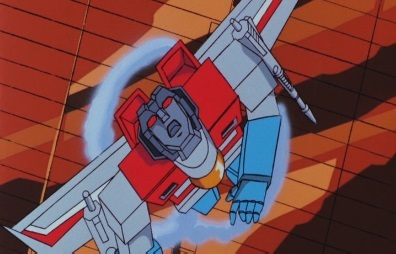 Plus it featured Cyclonus, one of two Transformers toys I had that my Grandparents had given to me as a gift (the other was Ramjet) so seeing him flying around was a real buzz too. I think it was the only film I ever chose to rent from the video store twice because it was so good. The next time I saw it was in 2001. It had been re-released on video and for only £5 I wanted to check it out. And guess what? I thought it was awesome again. But at this point I was on the Internet and when I found out that people didn't like the movie, I thought no way, they must be wrong! 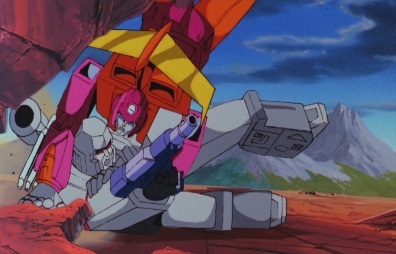 Transformers: The Movie is great because it's a darker story, as I embarrassingly once put it. And despite these negative opinions I'd read about, I still held onto the idea it was a great film. It wasn't until 2007 when I watched it again, having purchased Metrodome's ultimate edition version. And upon watching it, I finally realized something: this film is not actually good. In fact there are a lot of reasons why it's stupid. 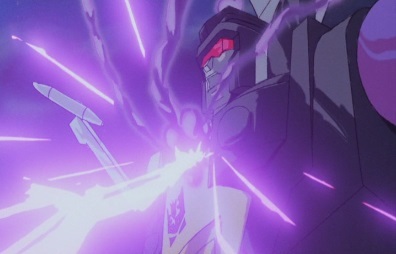 Take Unicron, for example. He's there because... we don't know. 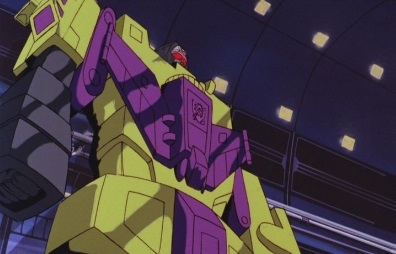 He needs to destroy Cybertron because... we don't know that either. The Matrix is the one thing, the only thing, that can stand in his way because... we've no idea. Oh and there's this thing called the Matrix in the film, too. It looks cool (like a lot of the new things in this movie) but where did it come from? There was no mention of it in the series. ...the new characters aren't good. 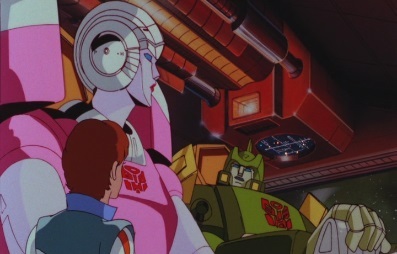 Examples include Blurr, who is just annoying, Arcee was a misguided attempt to make girls interested in the TF brand (despite having no toy available), Wheelie is the most annoying character ever, Kup... well I don't think Kup is that bad, actually, he's kind of a replacement for Ironhide. I think I speak for most fans if I say that it would have been far better if it was Kup and Ironhide though, not just Kup, who survive. 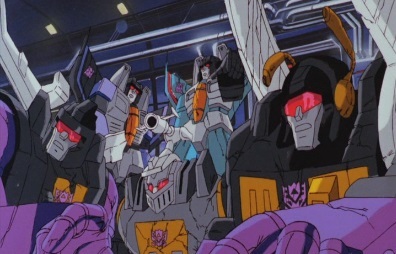 The Decepticons haven't got it much better either -most of them don't speak, and the new ones, Cyclonus and Scourge, sit around looking awesome, but don't have much in the way of personality, at least in the movie. As for the positives, I like the score. 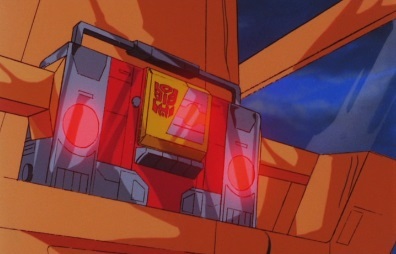 Not so much the vocal songs, but I think some of Vince DiCola's pieces of background music are really good, in particular, "Autobot/Decepticon battle", "Unicron Medley" and "Escape" being some of my favorites. 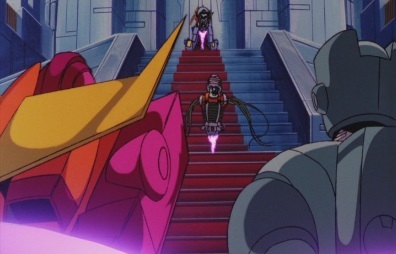 The series was also fondly remembered for the great voice acting, and in this regard, the movie doesn't disappoint either. 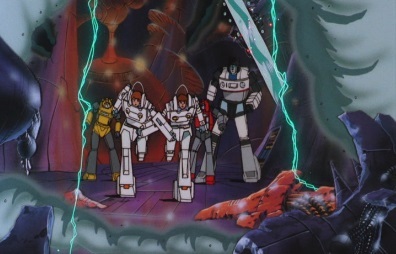 The regular cast, such as Peter Cullen and Frank Welker, are as good as usual, but the celebrity voice actors, such as Leonard Nimoy, also give great performances. 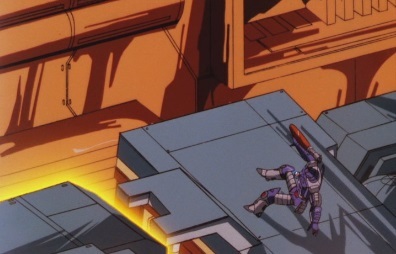 The animation is good too, I guess -I can say that as far as the G1 cartoon is concerned, nothing can top the movie in terms of animation detail. 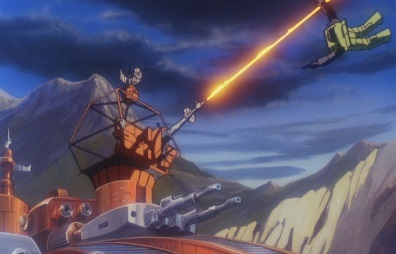 But, much like the cartoon series, the movie is full of animation mistakes. 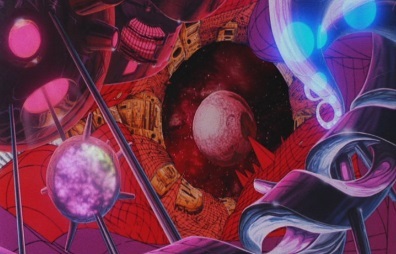 Fans have found so many mistakes in the movie, and whilst I can deal with the minor ones, huge errors such as two Frenzys flying around or Unicron overlapping the cities of the planet he's supposed to be heading towards really should have been noticed and fixed, especially for a feature film. 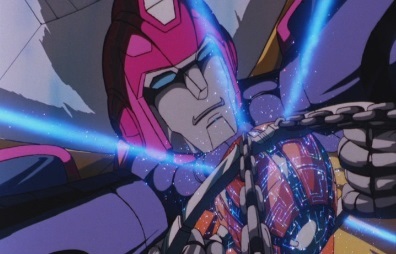 Transformers: The Movie put the brand into a downward spiral that it wouldn't recover from for 10 years until Beast Wars was released. A lot of newer fans think the movie is awesome, and I used to think that, too. But the truth is it really isn't and I can see why quite a few fans prefer to think that only the first two seasons count and anything from the movie and after never happened.